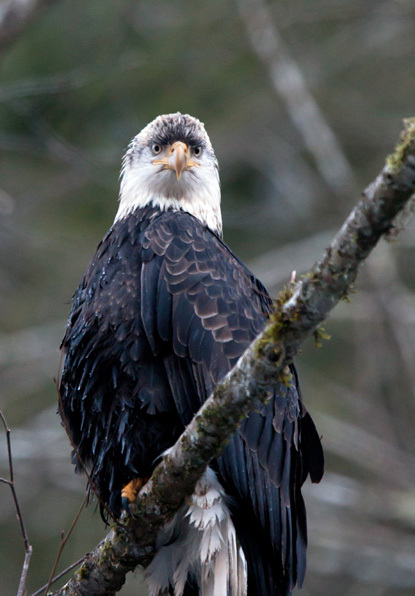 This is the second year in a row that I have gone to Squamish to shoot eagles on one of the last days of the year. I hope it will become a tradition. Last year we went on December 31st and this year it happened on December 30th on a beautiful BC day. The weather was crisp and clear and we saw plenty of eagles. I went with my good friend and talented wildlife shooter Henrik Nilsson and my son who enjoyed his first trip shooting wildlife. He did very well by the way. In the morning we drove up Squamish Valley Road and in the afternoon we went on a float trip hosted by the good folks at the Sunwolf Outdoor Centre. This was a great way to wrap up the day. The views from the river were pristine with the snow covered peak surrounding us. The following photos were all captured with the Canon EOS 1D Mark III, using an EF 300 2.8L IS lens with the EF 1.4x II extender.